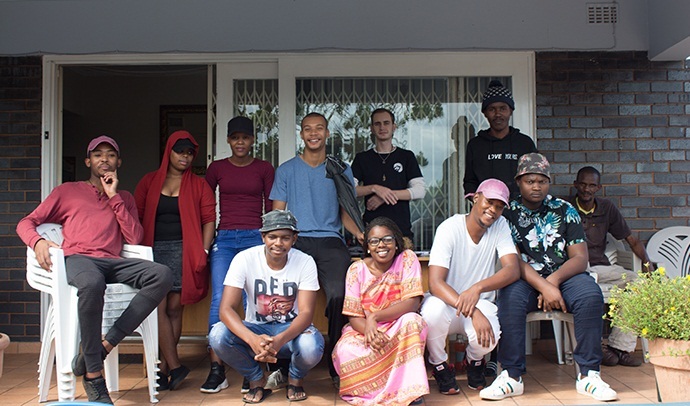 Creative Junkies Foundation (CJF) is working hard behind the Durban creative scenes to build a creative community that will not only be nationally recognised but financially stable in this hustle of a creative world. In 2016, CJF was able to utilise the property of the Don Brer Studios in Glenmore and that is where Creative Junkies Foundation is situated. CJF has developed and created a platform for the Durban Youth to express their creative ideas, concepts, thoughts and plans. The space is free for people to mingle and discuss future business plans and goals as well as small minor jobs that they used to help initiate. Members of CTF can branch into clothing design, music production, graphic design – all creative options are open. “Outsourcing and Freelance work is the ideology that is sweeping the labour market and finding employment is not as easy as it used to be.” Whether one is qualified or not, CTF want to embrace young entrepreneurs and help them to build their own brands and identities. Creative Junkies have several activations and projects lined up. On June 16, they are planning on assisting Avoca Gallery in having a Youth Exhibition of all arts. They are open to painting murals for any organisation that may need one, or do pro-bono events and more! For more information contact Jarred Leroy Camp on 065 255 4301.